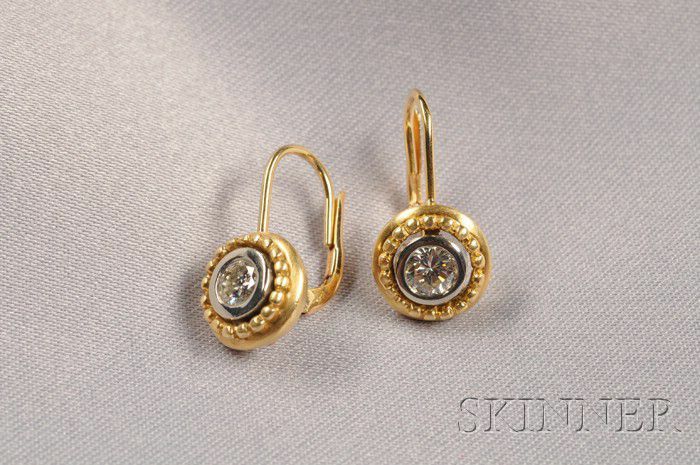 18kt Gold and Diamond Earpendants, each set with a full-cut diamond, approx. total wt. 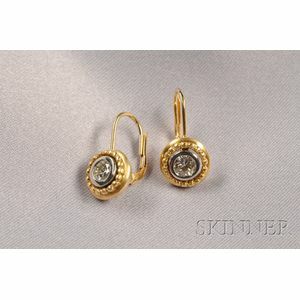 0.50 cts., within beaded frames, dia. 3/8 in.